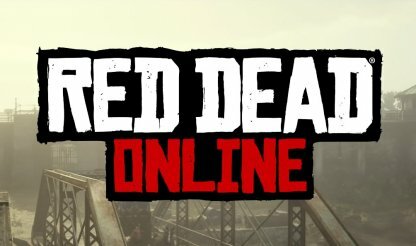 Check out this guide for a full walkthrough of the Beginning & Tutorial of Red Dead Online, including gameplay tips, guides, and more! 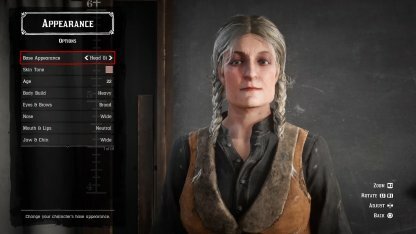 In this part of Red Dead Online, you'll be able to customize your character's gender & appearance. You'll also be able to choose your starting clothes & get equipped with some weapons, a knife, lasso, and lantern. In the character customization, you'll get 2 points to increase your character's attributes - Health, Stamina, and Dead Eye. Choose the attributes you want to strengthen. In this part of the tutorial, you won't be able to freely choose the location of your camp. You'll freely be able to do so later on - at a certain fee. After talking to the post clerk, you'll get the catalogue. This is used to order items and have them delivered to your camp. You can easily locate the hideout by checking the sky and spotting the trail of camp fire. Head towards the smoke's direction to find the hideout. This choice will affect your honor state in the game. 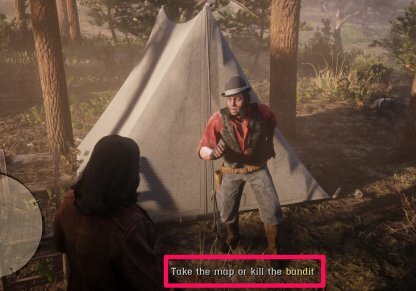 Choosing to simply grab the map will raise your character's honor while choosing to kill him will lower your honor. Either choice will still give you the map. In this part of the tutorial, you're taught how to use Eagle Eye, which you can use to find the location of the treasure chest. 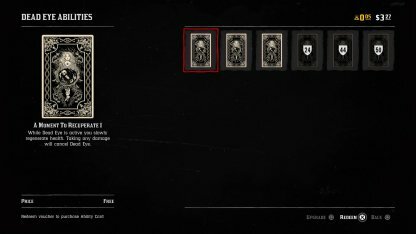 You'll get your first Ability Card Coupon in this part of the tutorial. This can be used to redeem Ability Cards and tweak your Ability Loadout.